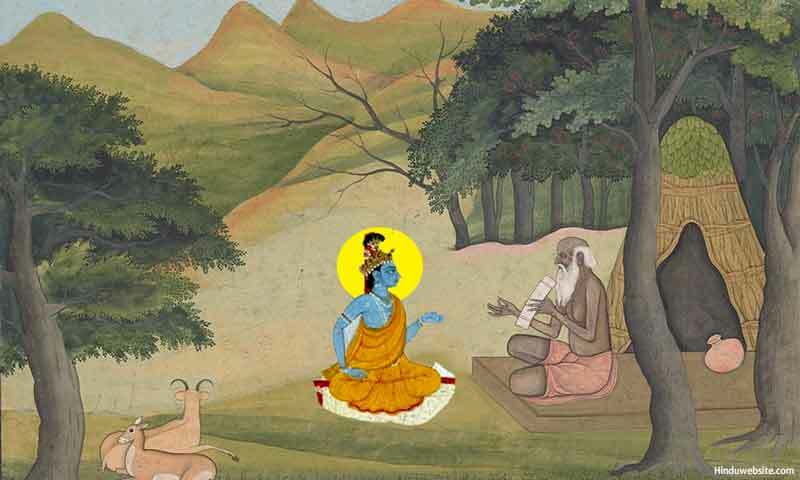 Follow Angirasa as your Guru as Krishna did. I have stated previously that according to the Chandogya Upanishad, Krishna learned about the sacrificial nature of human life from Ghora Angirasa and thereby became free from desires (a-pipasa). You too can make Ghora Angirasa your guru and like Krishna become free from desires. You may wonder how that is possible. This is how you can do it. Regulate your breath as you perform various daily functions. What you breathe out is an offering and what you breathe is a sacrifice. If you remember this, your life becomes a continuous sacrifice. Let you mind follow the breath as you breathe in, as you hold it in your body and as you breathe out, remembering always that you establishing a connection with the heavens through your breathe and letting its pure energy transform you and purify you. When you breathe, listen with concentration to its subtle sound. If you pay attention during your breathing, with each breath you will almost hear the sound of Aum or 'Soham,'. If you let your mind silently chant either of the sounds as you breathe in and breathe out during the whole day, your will let your breathe become your guru and bring peace, stability, knowledge and wisdom into your life. Breathe is your constant companion. The good thing about it is that it is not subject to desire, like other actions. You perform various actions because of desires, but in case of breathing you do it involuntarily. Now, you may ask, "What Angirasa has got to do with breath?" Well, there is a symbolic connection. Angirasa literally means the sap (rasa) of the organs of the body (anga). Breath is the Angirasa of your body. The Upanishads state this very clearly in several verses. Breath is often equated with Atman (Self) itself. The very meaning of Atman is the one who breathes.